Change Your Vocabulary, Change Your Thinking! 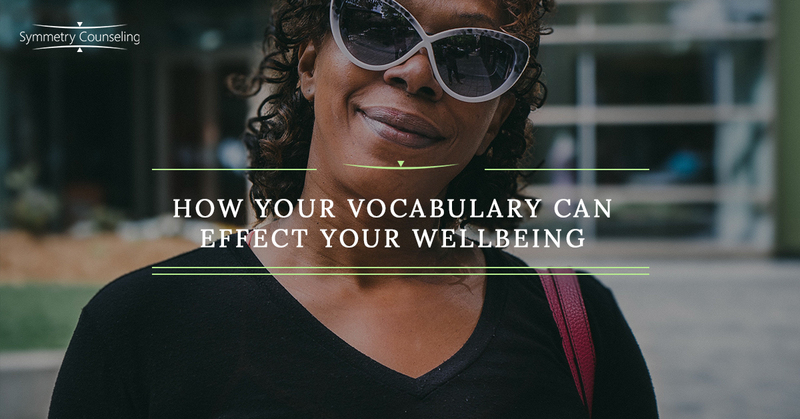 How we choose the words we use in expressing our thoughts to ourselves and others directly impacts how we make ourselves feel. I have previously addressed rational and irrational thinking in a previous blog, and this will expand on those concepts by demonstrating the benefit of exchanging the vocabulary of demands with preferences. The difference might, on the surface, seem slight, but the impact of our use of preferential instead of demanding language can be the difference between feeling distressed and helpless or feeling motivated and empowered, both in and outside of therapy with a psychologist or counselor. When we start using demanding words in our thoughts and speech, it is indicative of rigid and irrational thoughts, feelings, and beliefs, but it is entirely possible to change them into rational ones outside of therapy by our choice of words. We can say “prefer” instead of “must,” “choose to” instead of “should,” “choose not to” instead of “can’t,” “many” instead of “all,” “often” instead of “always,” “failed” instead of “failure,” or “unlikely” instead of “never.” We can replace demands we make of ourselves and of others with expressions of preference. Instead of saying “I must not fail,” try saying or thinking, “I have a strong preference to not fail.” In this instance, failure is still undesirable, but not made catastrophic. This can greatly reduce the potential for causing ourselves to feel shame or guilt and help improve your mental health and emotional wellbeing outside of therapy sessions. Replace the thought “I can’t stand my job” with “I don’t like my job.” This acknowledges the negative emotions associated with the job, but does not make the irrational assertion that the job will lead to an inability to function. This also applies to the expression of emotions. Some examples include being concerned instead of anxious, feeling sad instead of depressed, becoming annoyed or frustrated instead of angry, feeling remorse instead of guilt, having regret instead of feeling shame, and experiencing disappointment instead of hurt. Rational emotions can lead us to find motivation to change. Irrational emotions often lead to beating ourselves up or lashing out at others. To some, this might seem nitpicky, but the distinction between rational and irrational is hardly negligible. That is why I encourage the practicing of exchanging irrational language with rational terms in our thoughts and speech when I meet with clients during therapy sessions. Utilizing rational language opens our minds and the minds of those with whom we interact to a range of possibilities, instead of limiting our communication by relying on rigid absolutes. Between “all” and “nothing,” there are an infinite number of points along the spectrum of possibilities. Some of these possibilities are admittedly more preferable than others, but unless the worst case scenarios involve risk of death, permanent injury, or loss of freedom, then none of them are truly catastrophic. To learn the language and practice of Rational Emotive Behavioral Therapy, I encourage you to contact me at Symmetry Counseling to schedule an appointment. With so much in life that is beyond our control, it can be empowering to learn how to control our thoughts and manage our feelings. Contact Symmetry Counseling today at one of our two Chicago locations to schedule a therapy session with me or another counselor or psychologist.